Do You Know About MyAdvo? Get The Whole Picture Here. When you need a legal advice or can’t decide on a lawyer, MyAdvo comes in to give you a clearer picture. MyAdvo is a legal concierge, where you are provided with the information of all lawyers listed with them. It’s a directory of lawyers and your go-to-source for everything legal! The mind behind its working and idea happen to be two IIT Alumni of Roorkee, Kushal Bhagat, and Rishabh Gupta. The idea emerged from their personal experiences, where both of them were facing a legal situation, and finding an appropriate lawyer was becoming difficult. That’s when the roots of legal were out in the open and they traced a need for a platform, where billions of Indians could browse for lawyers, and compare their data to connect with the most suitable one. 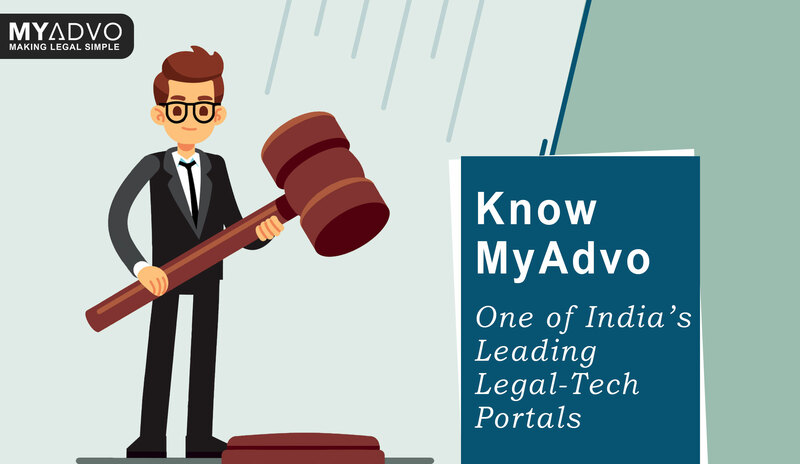 MyAdvo was launched as a legal tech company in September 2015, for enabling users to find the right lawyer amidst a herd of talented yet busy advocates. The company roped-in friends to kickstart their dreams of building the largest global professional network of lawyers & individuals and make legal processes in India simple for you! With a set of competition in this field today, MyAdvo is different from the rest. It not only cuts down on your effort for lawyer discovery, but their dedicated team of professionals also helps you in case preparation and provide timely updates for better case management. In the process of adding more value to you and your time, MyAdvo makes sure that till your case is in the court, you are getting the services at a fixed rate and no exception is made. MyAdvo also ensures that you are made aware of all legalities and procedures, which helps you in better comprehension of the law. As of today, MyAdvo is leaving no stone unturned to be your best source of legal knowledge, lawyer discovery, price discovery and case management. Each professional is working with great enthusiasm and hard work to provide you with services that result in relief from legal stress. Next time when you think legal, you need MyAdvo!